When looking for the best vape mod, whether you're a beginner or advanced vaper, it can be quite overwhelming. There's tons of different brands, styles, sizes, features and more to consider which to add to your personal collection. Well, we took a look at hundreds of different devices, and put together this list to make that decision that much easier for you. Here's our top choices for the best mods available today. 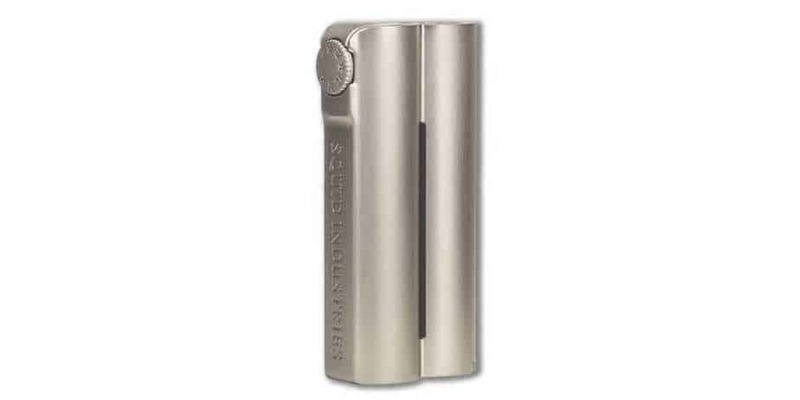 Vandy Vape’s newest vape mod, the Jackaroo is aimed at taking the throne when it comes to durability, and they did an amazing job with this one. What makes this special is the construction, it’s waterproof, dustproof and shockproof. 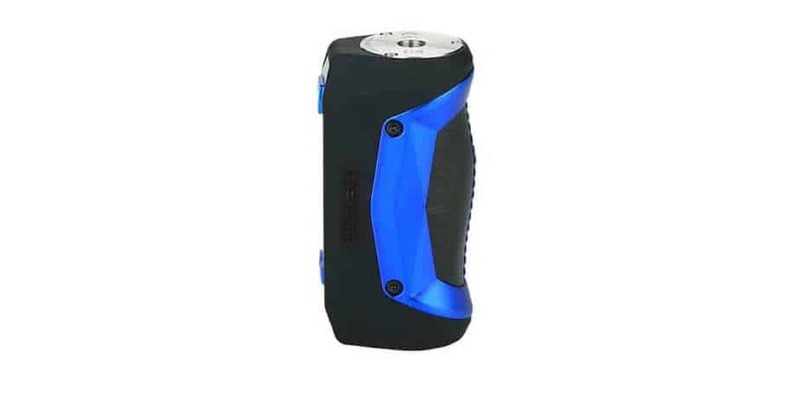 Like many newer mods on the market, it is powered by a single 21700 battery. However, it can be used with a 20700 or 18650 battery if desired. Another great feature is the upgraded Vandy chipset, which allows for a maximum wattage output of 100w. Not only this, but it offers a huge selection of different modes including TC, power, voltage, and DIY. If you’re a vaper who enjoys customizing, then you’d be happy to know that the panels are replaceable. Panels are available in G10 or Resin materials. 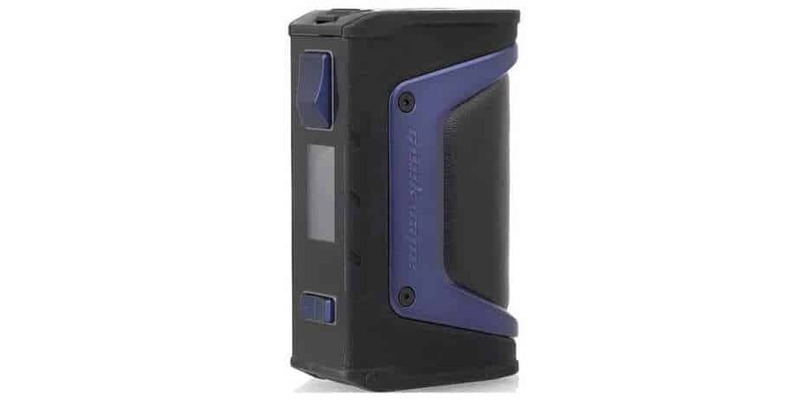 Whether you’re looking for a device that’s durable and can withstand drops or simply want a good performing single 21700 device, the Jackaroo by Vandy Vape has got you covered. It has all the features you’d need while vaping, and best of all, it can be customized to your liking. CLICK HERE TO CHECK PRICES! 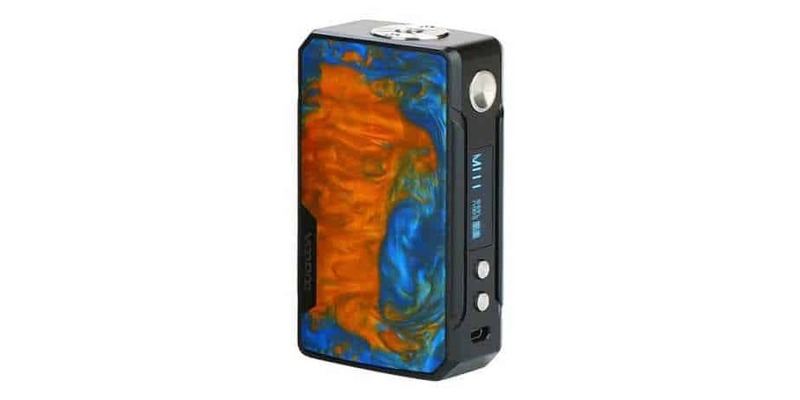 The VooPoo Drag 2 is the newer version of the much loved VooPoo Drag Box Mod. It features a similar button layout and offers a unique resin finish. Each resin panel is unique; therefore there won’t ever be two of the same mod! VooPoo’s Drag 2 Mod is powered by the brand new Gene.Fit Chip. To power it, two high drain 18650 batteries are required. 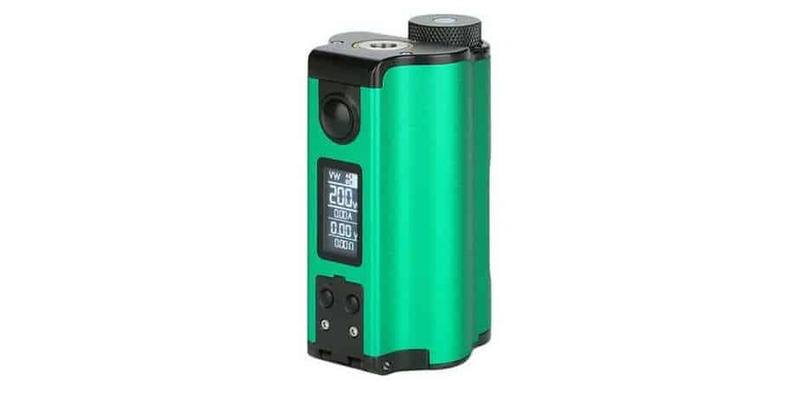 With the Gene.Fit chipset, it allows this box mod to have a max wattage output of 177w alongside multiple user modes such as temp control and TCR. Staying true to the original, it has a solid construction with no rattles, and sports many different internal safety features. 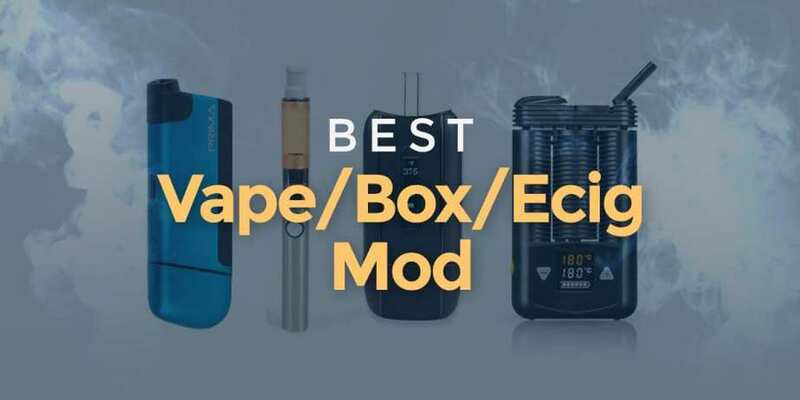 For 2019, this is easily one of our top choices when it comes to the best vape mod. Its simplistic design and overall layout makes it super easy to use while being reliable. There’s not much more we can ask for when it comes to a version 2, it simply delivers. Innokin’s Proton Plex is another excellent performing vape mod that’s one of our personal favorites. Instead of a traditional 3 button design, it utilizes a joystick and side fire bar. This design makes it very easy to navigate through the menu system, and comfortable to hold and vape with. In addition, there’s a crisp and clear 1.45 inch display screen. A great feature this mod has is the 6 menu RGB customization, allowing you to fully customize it to your liking. With two high drain 18650 batteries, the Proton Plex Mod is able to push out a high 235w output, which is quite impressive. Furthermore, this device offers a variety of modes from Bypass to full temp control, and more. All in all, the Proton Plex by Innokin performs just as good as it looks. You can easily customize your vape experience to how exactly you want it, and best of all, this is available in a full kit! Whether you’re looking for a vape mod for clouds or simply want a solid performing vaping device, you can’t go wrong with this one. Here’s another incredibly durable box mod, but this time from Geekvape. They're known for many different products, and do have some of the Best RTAs, but the Aegis series took them to another level. The original Aegis 100w Mod changed the game and was a serious workhorse, and the same can be said for the Legend. It still offers the construction as you’d expect in this line of devices, but differs as it takes two batteries. 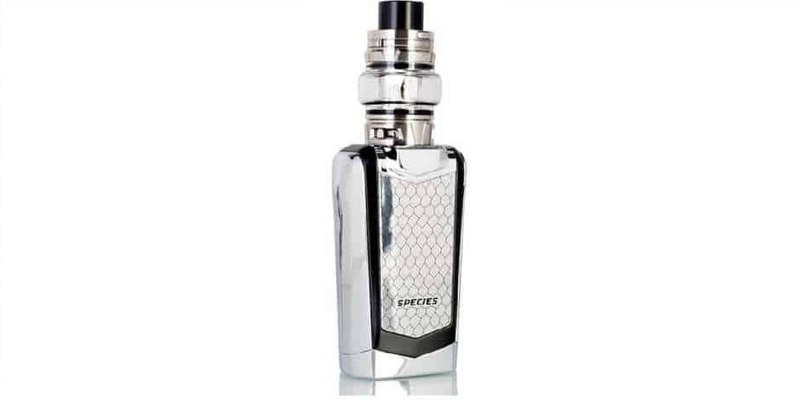 This allows the Aegis Legend to boast a maximum wattage output of 200w. You can expect all of the features from before including VPC, Bypass, TCR and TC. There’s not too many mods that can withstand the beating the Aegis Legend can take, and that’s what makes it so attractive to many vapers. With two batteries, you’ll be vaping throughout the entire work day without needing a recharge. If you need a workhorse mod, this is it right here. Squonking has become an incredibly type of way to vape in the recent years, and if you enjoy this vaping style, then the Dovpo Topside Dual designed by TVC should be at the top of your list. When it comes to innovation and functionality, the Topside Dual shines. What makes this device to innovative is the top filling system, which is not seen in any squonker to date. Not only this, but the ergonomic shape makes it super comfortable in the hands, and it can easily handle all of your larger atomizers with no overhang. Also, it has a maximum wattage output of 200w, and a massive voltage output of 12v! Unlike the original, it does come pre-loaded with all of the features such as temperature control. Dovpo and TVC’s Topside Dual is easily one of our favorite mods to be released within the last year. It’s innovative design makes filling quick and easy, so you’re back to vaping in no time. If that’s something you’re after, make no hesitation and pick up one of these mods, you won’t be disappointed. Squid Industries made a huge impact when they released the original Double Barrel, and now they’re back with the new version 3. This new model offers a few new welcomed improvements over the original including an improved battery door, and larger display screen, which is still located at the top of the device. Another addition to the Double Barrel V3 is that is can now accommodate atomizers up to 25mm in diameter, whereas the original could only fit atomizers up to 24mm flush. Although this may be seen as a small change, it makes a world of difference since many newer RDAs do have a 25mm diameter. Just like the original, it does also feature the multi-functional firing switch, and provides a maximum wattage output of 150w. When it comes to comfort and raw power, the Double Barrel V3 by Squid Industries is a clear winner. It offers great improvements over the original 2, and is just one beast of a device, making it easy for us to say it’s one of the best vape mod on the market today. Vaporesso is a company that’s been around for quite some time in the vape industry, and they continue to impress us with their products. Their Luxe Line is fairly new, and one of the latest releases is the Luxe Nano Mod. Like many smaller vape mods, it houses an internal 2500mAh battery, which can be charged quickly with a micro USB cable. The Luxe Nano Mod is ergonomic mod, and fits comfortably in the hands. Its large side firing button is nice and clicky, something we prefer with many devices like this. Since it’s a newer Vaporesso product, you can expect a wide range of features including temp control, TCR, CCW and other interface modes. With its Omni 4.0 Chipset, you’ll get an accurate and satisfying vape experience every single time you take a hit. Another great feature this one has is the large TFT touch screen display, which not only looks good, but it’s easy to use as well. If you’re in need of a super compact vape mod with tons of features, then look no further! It’ll easily satisfy all of your vaping needs. Geekvape’s Aegis Mini Mod is the third release in the Aegis Line. The Aegis Mini is much smaller than its two brothers, and is expected due to the actual product name. Like the other devices in the line, it is Dust Proof, Shockproof, Waterproof, and crafted with the same durable material. 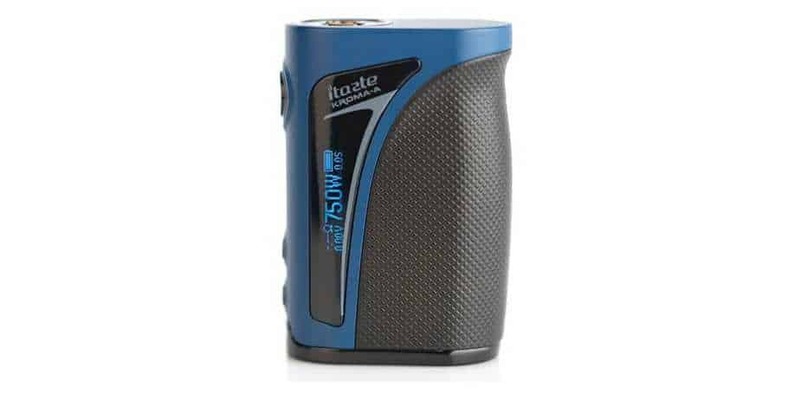 Although it’s small, it still does offer a maximum wattage output of 80w. Battery life is pretty good since it does house a 2,200mAh internal battery which can be charged via micro USB. There are multiple safety protections as well including Short Circuit, 10 Sec Cut-Off, Over-Heating and others, giving you a peace of mind while vaping. 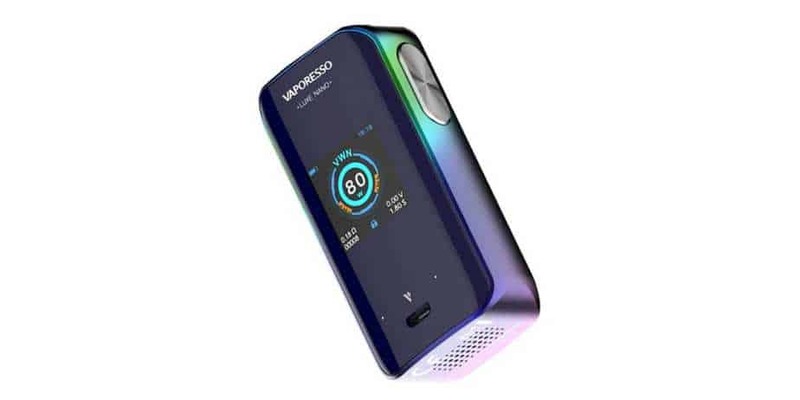 Since it’s powered by the AS-80 chipset, the Geekvape Aegis Mini Mod offers the user multiple modes including temperature control mode for SS, Ti and Ni wires. It also features a 0.91 inch color display screen that can be brightened or dimmed using the settings. If you’re a fan of the Aegis series like we are, and in need of a compact vape mod that’s nearly indestructible, then you might wanna grab this one, especially in one of their limited edition colorways. Smok is a well known vape brand, and when it comes to starter kits, they offer some of the best money can buy. This new vape kit includes the Species 230w TC Box Mod and TFV8 Baby Beast V2 tank. With the Species, the first thing you’ll notice is the large 1.45 inch full color touchscreen display which offers a brand new interface. In addition, it has a full temperature control suite alongside a TCR mode, allowing you to fully customize your TC vape experience. Our favorite way to vape in TC mode is using TCR as you can really dial in your settings to fit basically any type of wire. Smok’s original TFV8 Baby Beast was very popular, and this kit does include the new and improved version 2. The Baby Beast V2 sports a larger diameter and can house 5ml of e-liquid. When you’re ready to fill it, simply utilize its convenient top fill system, and when you’re done, it’ll lock securely back in place. Airflow does come in through the massive ports at the bottom, and it is fully adjustable. When it comes to the best vape mod starter kit, this one is hard to beat, especially at its price point. You’ll get tons of clouds and flavor alongside a mod that’s full of unique features. If that’s what you’re after in your vape kit, then look no further. Sigelei has created many great products over the years, and their mods are still highly sought after by many vapers. The new Sigelei Chronus Shikra Kit includes both the device and tank. The mod itself sports a sophisticated look, and offers a different way of navigation via its 5 way directional joystick. What’s unique about this one is that if you like having your mod safe and secure, you can easily punch in a 4 digit pin to completely lock the device. 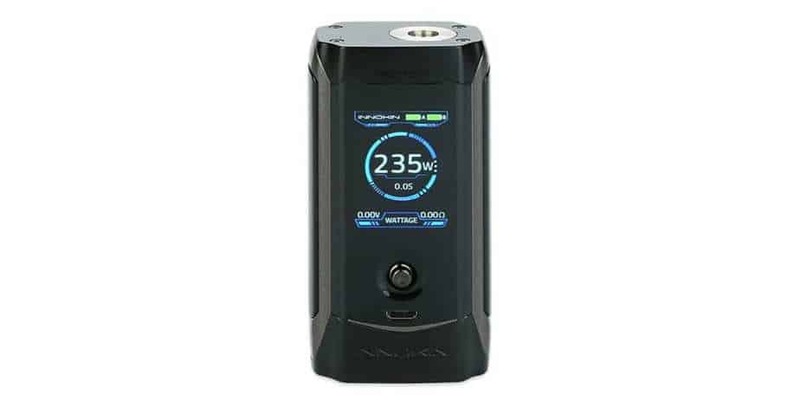 Like many kits available on the market today, the Sigelei Chronus Shikra Mod does require 2 high drain 18650 batteries and has a maximum wattage output of 200w. There is a minimum firing resistance of 0.05 ohm, and it does have 0.001 second fire time, so you’re vaping as soon as you touch that fire button. Included, the Shikra Tank has a diameter of 24mm alongside a maximum e-juice capacity of 5.5ml. Filling can be done quickly thanks to its threaded top fill design. In the box, you do receive two Sigelei MS Coil Heads, which do feature long lasting fiber. Some of our favorite kits come from Sigelei, and with this new release, they’ve impressed us yet again. Its overall design is simply stunning, and it’ll certainly turn heads in any vape shop you go to. For you vapers wanting something different from the rest, this is it. 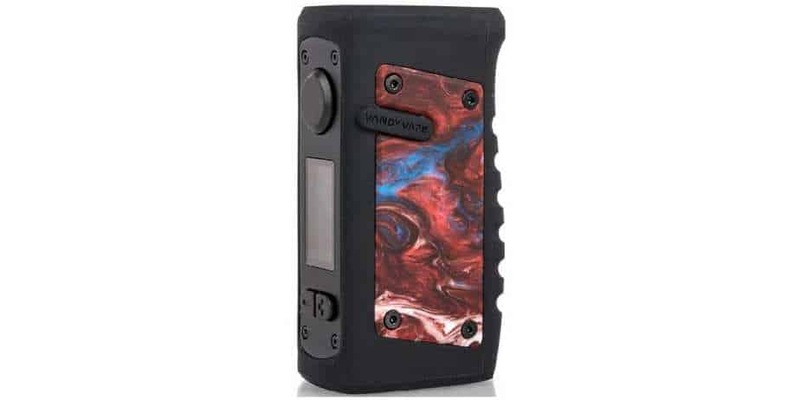 If you’re new to the vaping world or simply looking at getting your first vape mod, we definitely recommend checking out the Innokin Kroma-A Mod. Innokin is known for making some of the best beginner devices, and that still remains true to this day. This mod uses an internal 2000mAh battery and since it does have 2A charging, it’ll be fully charged in no time. Innokin’s Kroma-A Mod does have a 75w output, which is more than enough for the beginner vaper. With its wattage range, you can pair it up with most sub ohm tanks or MTL atomizers. Due to its compact size, it’s pocket-friendly, and easy to store away when not in use. Overall, the Innokin Kroma-A Box Mod is the perfect choice for the beginner for many different reasons. Firstly, it’s incredibly easy to use, and will take less than an hour to familiarize yourself with all of its functions. Secondly, since it does have an internal battery, there’s no need to worry about an external vape chargers. Lastly, it’s affordable, so you won’t be breaking the bank! By now you’ve learned that finding the best vape mod is a journey on all its own, but once you’ve acquired one, that’s when the real adventure begins. To find the best mods, there’s no one size fits all. The better you understand how, when, and where you’ll be using your vaporizer, the easier it will be to decide which one to purchase. If discretion, and features are your top priorities then the Vaporesso Luxe Nano or Aegis Mini by Geekvape might be what you're looking for. On the other hand, if sheer power is what you seek then the Smok Species Kit or Drag 2 are great choices. Each mod has their strengths and weaknesses, all of which need to be taken into consideration. Lastly, for those of that demand nothing less than the best, check out our article on luxury vape mods. There'll certainly be something there that'll catch your eye. I am a vape hobbyist currently living in the central Florida area. I have been vaping for over two years now, and constantly keep up to date with the newest vape gear. 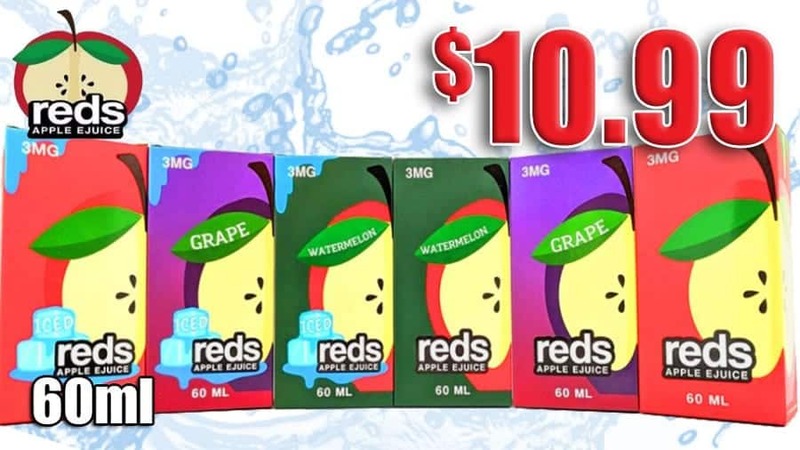 I recently started working in the vape industry, and my goal is to inform as many people as I can of the benefits of vaping, and how to go about getting the best deals possible.